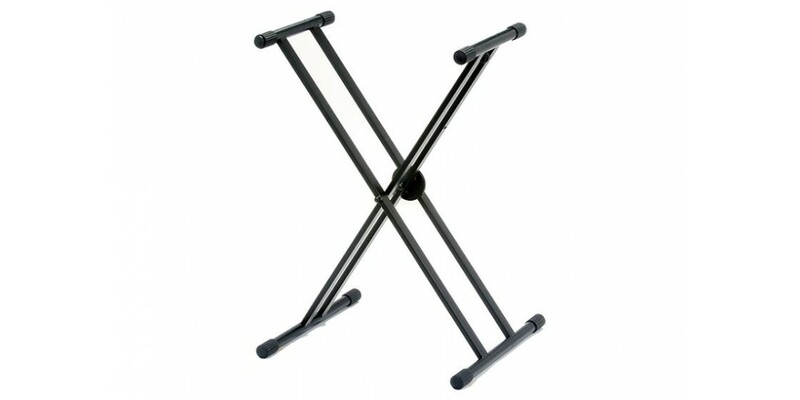 The Cyclone Keyboard Stand Double X Brace Stand is a heavy-duty steel double X-braced keyboard stand that will hold 49, 61, 76 and 88-key keyboards. 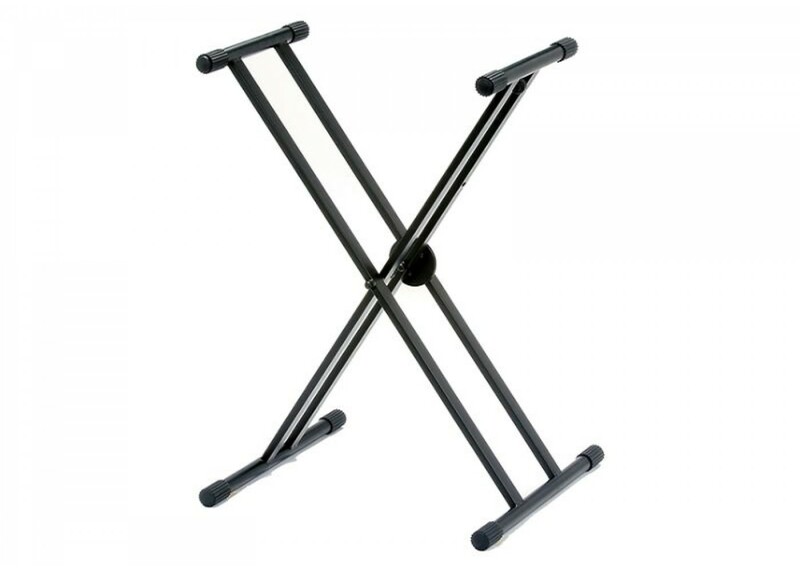 Its quick secure locking height adjustment tool allows it to adjust anywhere from 25.25 to 38.75 inches for seated to standing performance positions. Non-Marking rubber end caps.